Courier Flyer Bags Price in Pakistan. 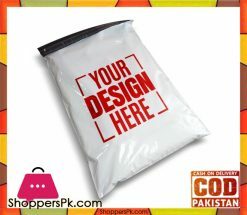 You are a online products provider and in search of Courier Flyer Bags you are in right place, we provide custom printed Courier Flyer Bags Price in Pakistan. We at Shopperspk.com provide a one stop solution to all your packaging woes by offering an array of striking customized packaging options. The customized packaging that we provide is ‘screen printed packaging’ which is best suited for small to medium volumes of orders. You are bound to have an interactive and fulfilling experience considering the distinct permutations and combinations you get to unravel on our website be it courier bags, envelopes, D-cut carry bags and so on. Screen printed packaging products are primarily sought out for textile, pharmaceutical, industrial, retail and E-Commerce packaging in Pakistan. We provide robust packaging material endowed with visually appealing colors, coupled with high seam strength to facilitate storage. Packaging options can also be customized under our premium customized section which has the quality to add grandeur to the packaged product. You can customize by printing your company details and logo and your packaging is bound to shine owing to the two new alluring color options (golden and silver) which we now offer. So, what are you waiting for? Experience customized packaging on Shopperspk.com and add value to your brand. 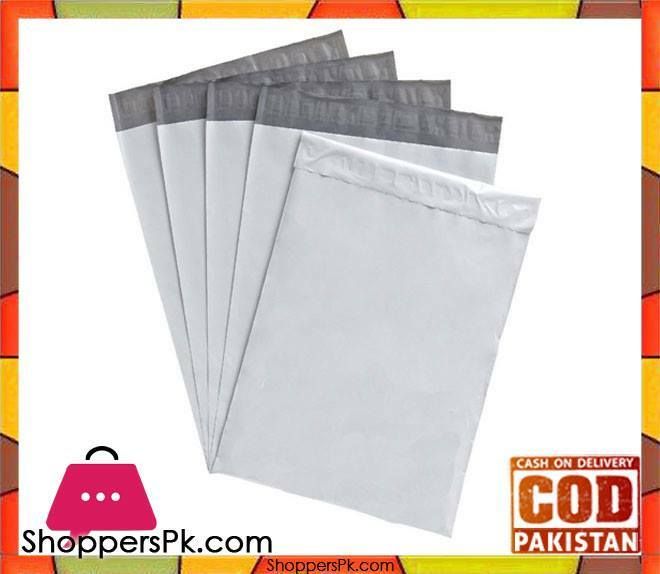 Courier Flyer Bags in Pakistan can be used Pharmaceutical Packaging, Industrial Packaging, Retail Packaging, Education Packaging, Healthcare Packaging, Law and Legal Packaging, Stationery Packaging, E-commerce Packaging. We Courier Flyer Bags delivery to Karachi, Lahore, Faisalabad, Rawalpindi, Gujranwala, Peshawar, Multan, Hyderabad, Islamabad, Quetta, Sargodha, Sialkot, Bahawalpur, Sukkur, Jhang, Shekhupura, Mardan, Gujrat, Larkana, Kasur, Rahim Yar Khan, Sahiwal, Okara, Wah Cantonment, Dera Ghazi Khan, Mingora, Mirpur Khas, Chiniot, Nawabshah, Kāmoke, Burewala, Jhelum, Sadiqabad, Khanewal, Hafizabad, Kohat, Jacobabad, Shikarpur, Muzaffargarh, Khanpur, Gojra, Bahawalnagar, Abbottabad, Muridke, Pakpattan, Khuzdar, Jaranwala, Chishtian, Daska, Bhalwal, Mandi Bahauddin, Ahmadpur East, Kamalia, Tando Adam, Khairpur, Dera Ismail Khan, Vehari, Nowshera, Dadu, Wazirabad, Khushab, Charsada, Swabi, Chakwal, Mianwali, Tando Allahyar, Kot Adu, Turbat, and all over Pakistan.